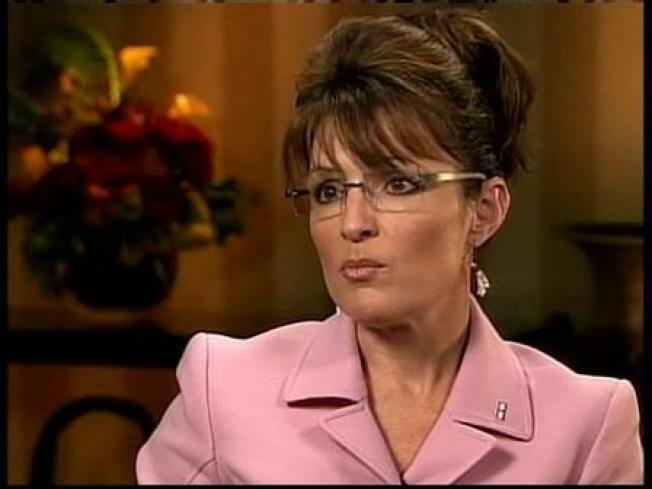 Is it Okay to Like Sarah Palin Again? Palin - finally! - talks about how she was exploited, upbraids Katie Couric, and more. And we kind of love her for it. Is this wrong? Sarah Palin's new interview has the former Veep candidate taking everyone to task for what went down leading up to the election. We've been waiting for this for so long, and it's finally happening: Sarah Palin was only minimally, sporadically rankled in the weeks following the election, but now that she's had a month and change to marinate and have some eggnog-fueled epiphanies, she's finally on the warpath. And, dare we say, it's making her likeable again. It all goes down in a very frank interview she gave to a "conservative filmmaker" wherein she goes off on Tina Fey, Caroline Kennedy, Katie Couric, and you! After hinting that she basically handed Tina Fey her career, she points out that ratings spikes associated with her image say "a great deal about our society," (oh, snap) and - in our absolutely favorite bit, gives Couric the business with the line "Because, Katie, you're not the center of everybody's universe." And God bless her for not going off quietly into the good night because 1) it's always reassuring to see a woman refusing to take it, even if she may have possibly deserved it just a little bit, and 2) we're bored stiff of the current headlines (hey, did you hear unemployment's reached 7 percent?) and need something else to talk about. Get the full details or watch Palin's class warfare rant for yourself.